You are working hard to make your 2019 Summer Camp a success, but don’t stop now. It’s time to fill the roster with shining new faces! For the past 6 years, we have been helping Local Businesses connect with Omaha Area families looking for fun things to do. Be a part of our 2019 Summer Camp Guide, ranking 1st in Google Search for Omaha Summer Camps! Thank you! 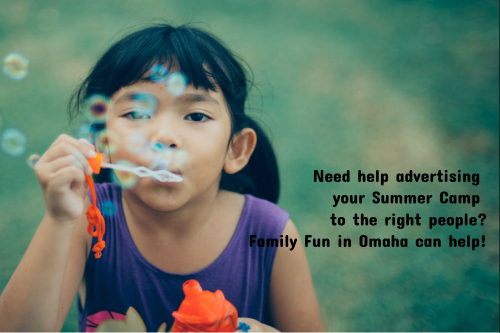 We look forward to exploring how Family Fun in Omaha can help you promote your Summer Camps!